New York, NY (Jun. 20, 2018) — Tonight, while Congressman Joseph Crowley (Establishment-NY) was attending a fundraiser hosted by the Republican Lobbying firm, BGR Group (Note 1), it fell upon Mayor Bill de Blasio (D-New YorkCity) to visit and to make public information about children being held in detention centers in New York City (Note 2). A Sectrum News NY1 report broadcast yesterday revealed that detention centers holding children were located in New York City (Note 3). We still don’t know if any children separated from their parents are being sheltered or fostered in the Bronx, potentially in Congressman Crowley’s own district. During his televised comments, de Blasio stated that the Federal Government would not inform him where or how many children were being detained here in New York City. Last Sunday — on Fathers Day — U.S. Rep. Jerrold Nadler (D-Upper West Side) and others had to barge into a detention center in Elizabeth, New Jersey, demanding information about the care of undocumented individuals (Note 4). While being seemingly outspoken in his opposition to the cruel practice of separating children from their parents, Congressman Crowley has neither spoken out about New York City detention centers, nor visited any in protest. Even worse, Crowley has not taken responsibility for his vote to create ICE in the first place (Note 5), which, as he is fully aware, is tearing apart families residing directly within his district. 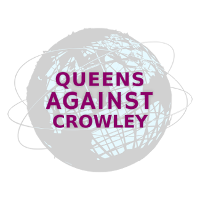 Since Crowley has delivered several angry statements directed at President Donald Trump, we find it hypocritical that he has ignored these questions when they are so close to home. On June 4, 2018, Crowley issued his so-called plan to “Put ICE back on a leash,” which was woefully inadequate, at best (Note 6). In a district that is up to 80% People of Color, messing around the margins is not the answer — the only way to shut down Trump’s “deportation machine” is to shut down ICE. We call on Crowly to publicly announce the need to abolish ICE, as has his Democratic Party challenger, Alexandria Ocasio-Cortez. In fact, Ocasio-Cortez has announced plans to fly to the U.S.-Mexico border this week-end to inspect immigration and detention center conditions (Note 7). 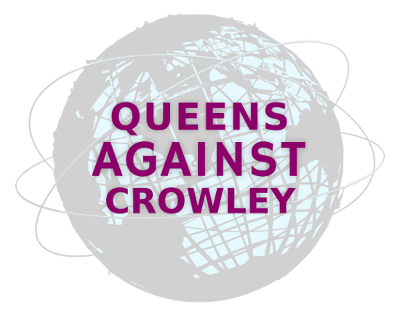 On June 26, voters will decide how much more failure and betrayal they will accept from Crowley.